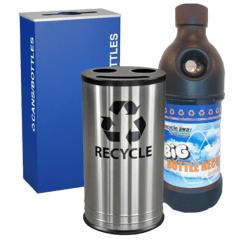 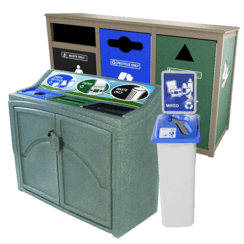 Square waste or recycle bin has a sleek and contemporary style with a snap lid closure and patented Grab Bag system to secure trash bag in place for a cleaner appearance. 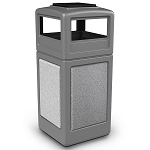 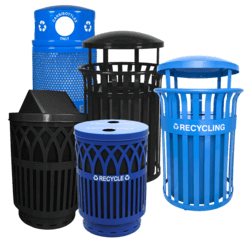 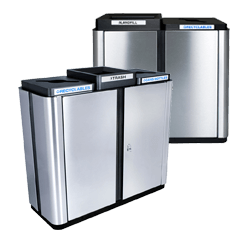 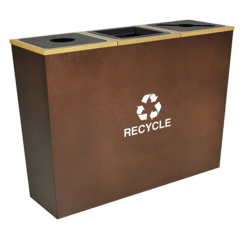 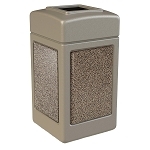 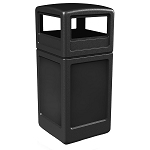 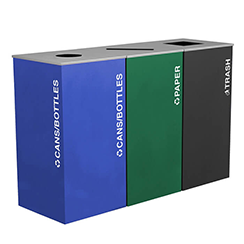 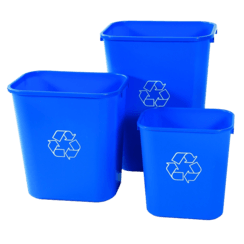 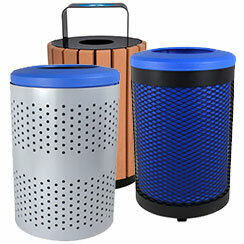 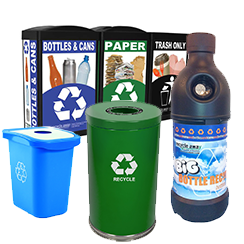 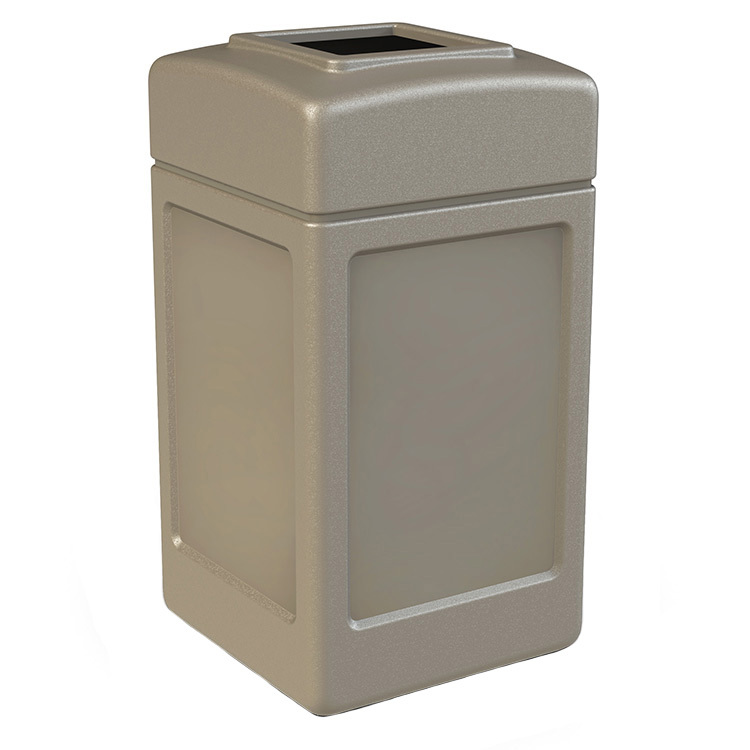 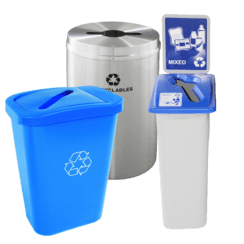 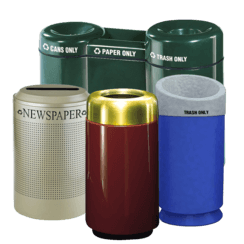 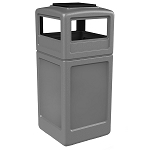 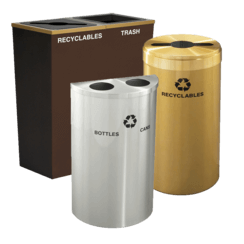 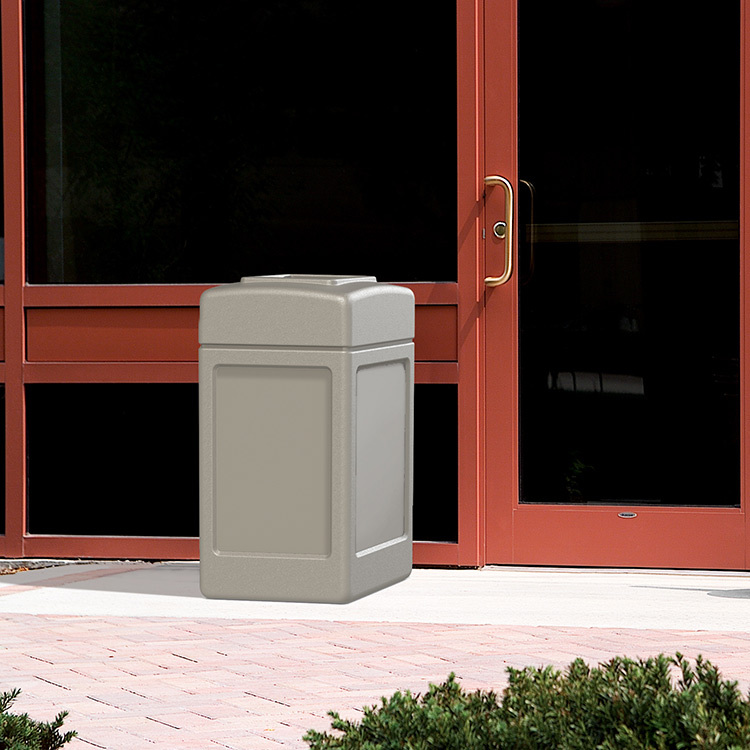 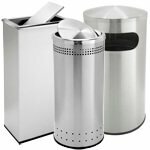 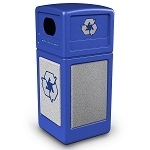 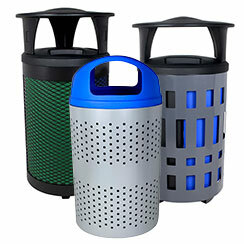 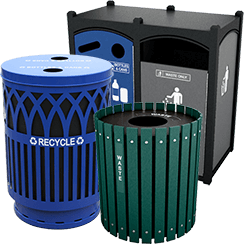 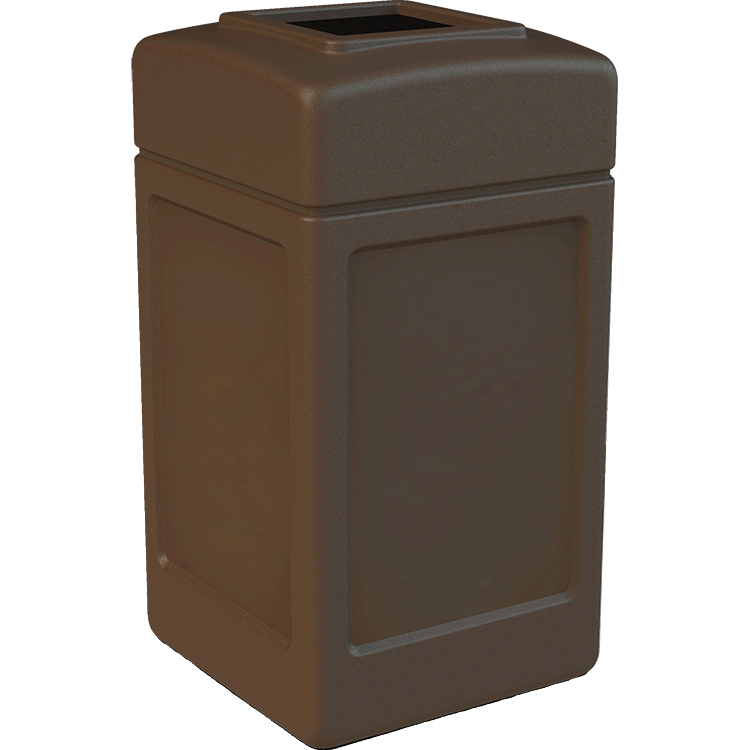 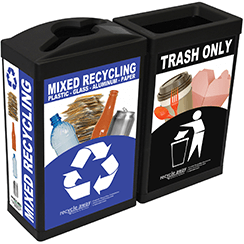 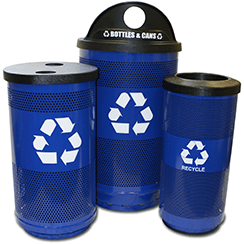 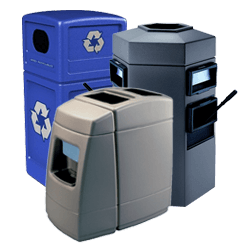 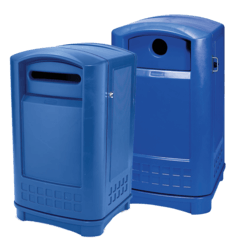 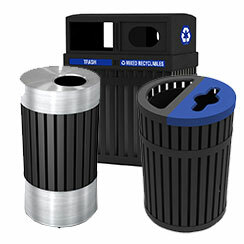 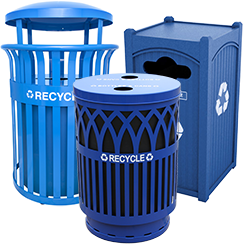 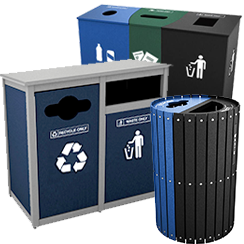 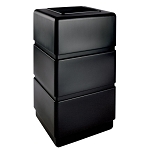 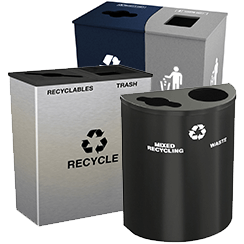 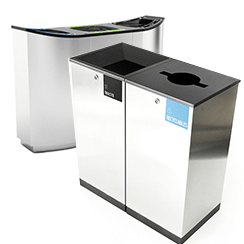 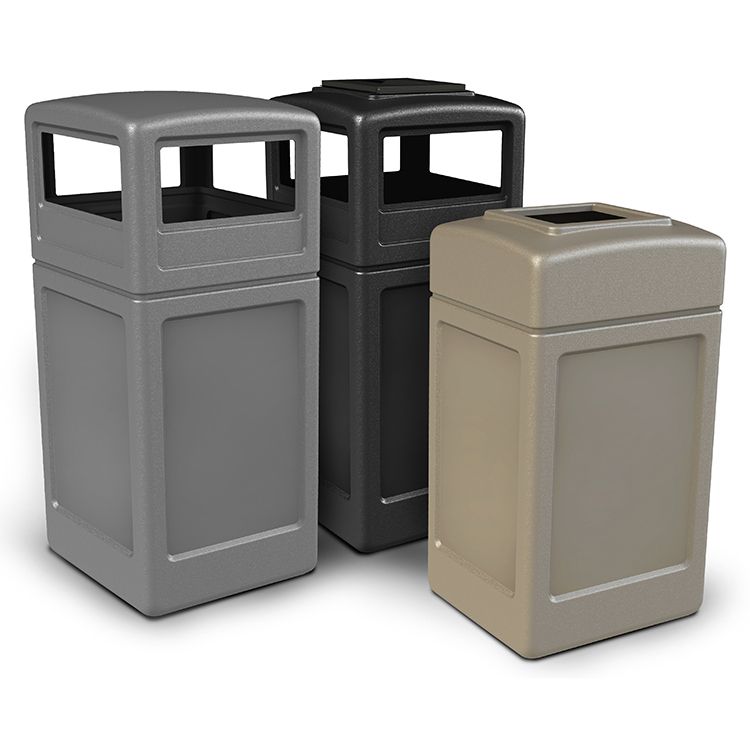 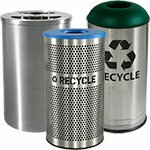 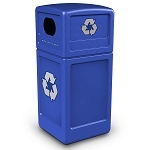 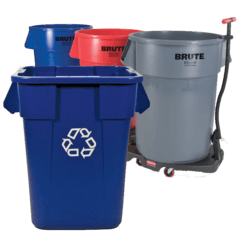 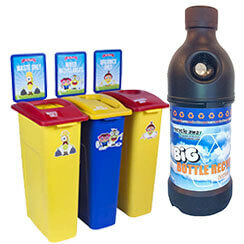 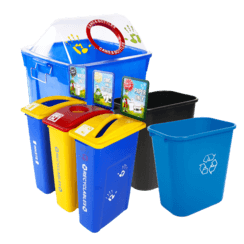 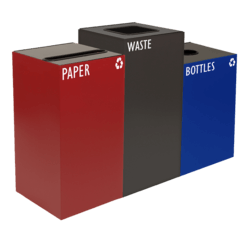 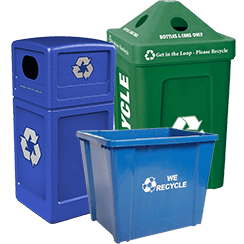 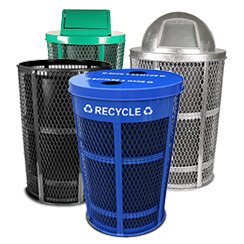 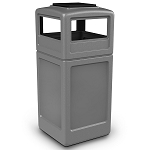 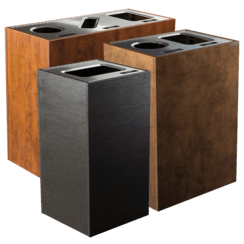 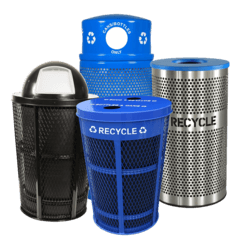 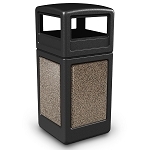 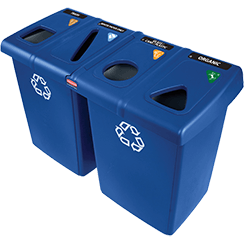 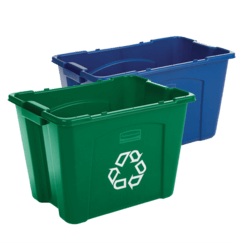 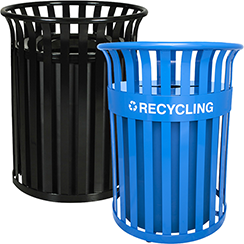 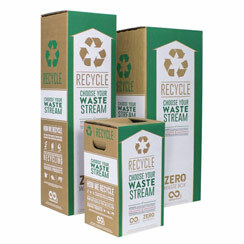 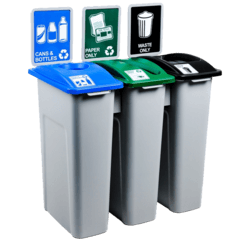 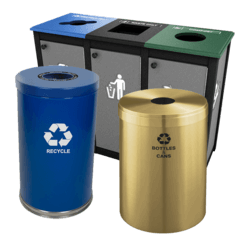 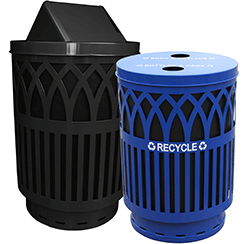 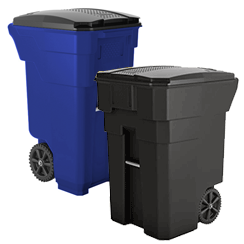 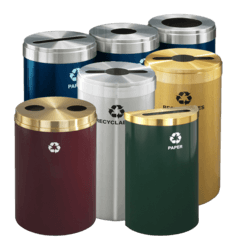 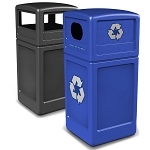 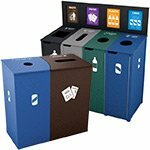 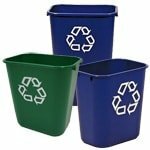 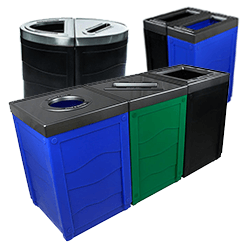 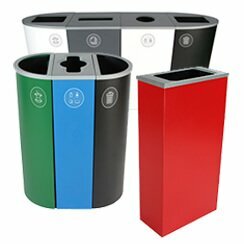 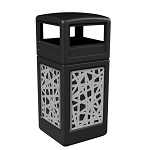 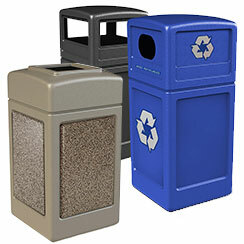 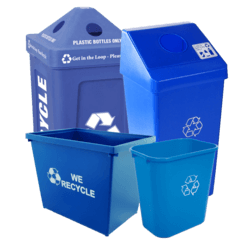 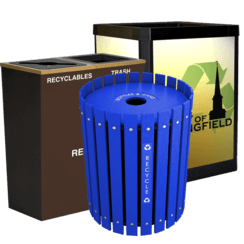 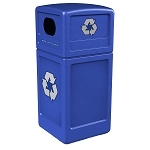 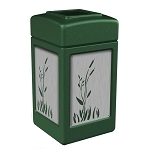 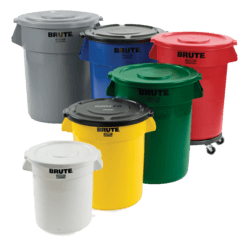 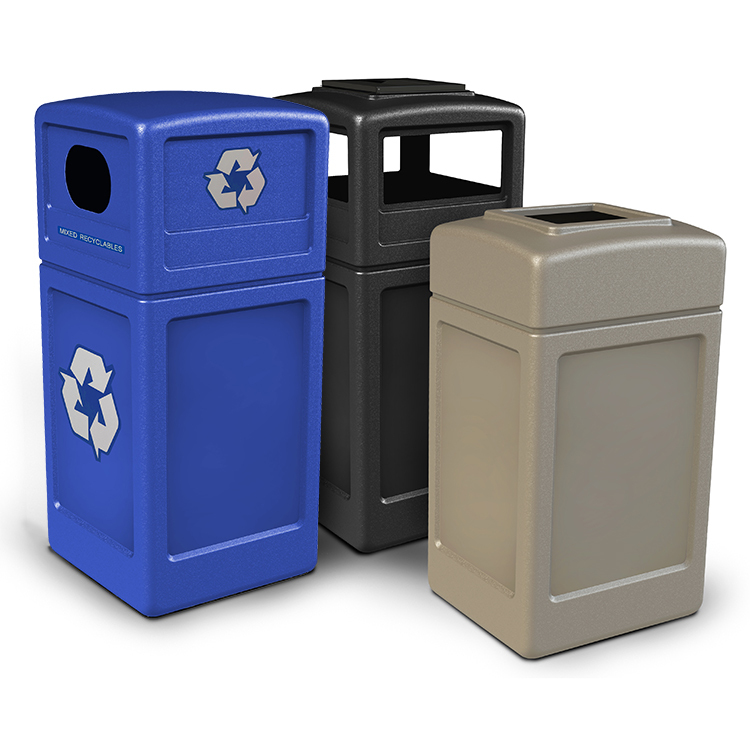 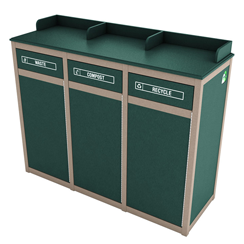 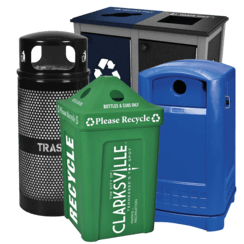 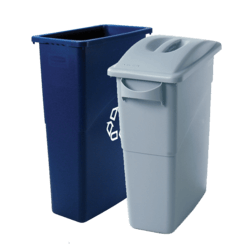 These large heavy-duty waste or recycle bins are designed to withstand the harshest environments! 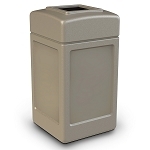 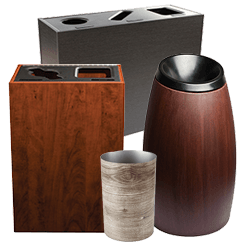 Bin is perfect for indoor or outdoor waste or recycling.